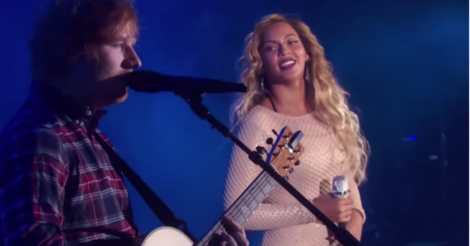 Beyonce And Ed Sheeran Sing An Acoustic Version Of “Drunk In Love” And It’s Just As Awesome As You’d Expect! New York City hosted the Global Citizen Festival this year, and tons of celebrities showed up to participate. One of the most popular acts of the night was also one of the most unexpected. When Beyonce sauntered out onto the stage to join Ed Sheeran, the audience EXPLODED in applause! It was so loud and I don’t think anyone really expected such a reaction. When Sheeran started to strum away at his guitar, the crowd was excited…when he started singing the lyrics to Beyonce’s Drunk In Love?! They just couldn’t handle it! The performance seemed a little forced – but maybe that’s because they only practiced a few times before the show – but no one could deny the star power that radiated off of these amazing artists! People in the crowd were actually crying because this was such a powerful act…and it was only an acoustic version! I personally love it when artists from different genres and backgrounds come together to do something truly unique. I can appreciate their work and their albums, but when they collaborate and make something totally original and rare, I respect them even more! I hope to see more and more collaborations in the future! This was just great. 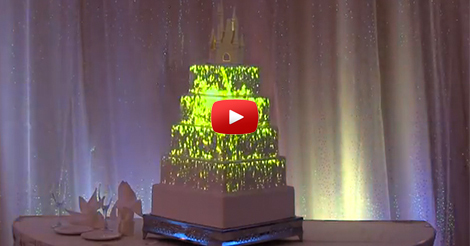 Disney Wedding Adds a Video On Your Wedding Cake!